On November 29, Deputy Prime Minister of the republic - Tatarstan Minister of Informatization and Communications Roman Shaykhutdinov, Deputy Prime Minister of the republic - Tatarstan Minister of Industry and Trade Albert Karimov and representatives of industrial enterprises and universities of the republic took part in the meeting of the Council of the Association of Enterprises and Industrialists of Tatarstan, dedicated to the digital transformation of industry. Shaykhutdinov reported on the implementation of the Digital Economy national project, aimed at improving the competitiveness of the country. He also said that the largest facilities of the IT infrastructure of the republic can be useful to the enterprises. For example, the IT park can provide all necessary resources for efficient IT development, including data centre services, help with the organization of hackathons and offer 400 ready-made IT solutions for more than 20 industries. 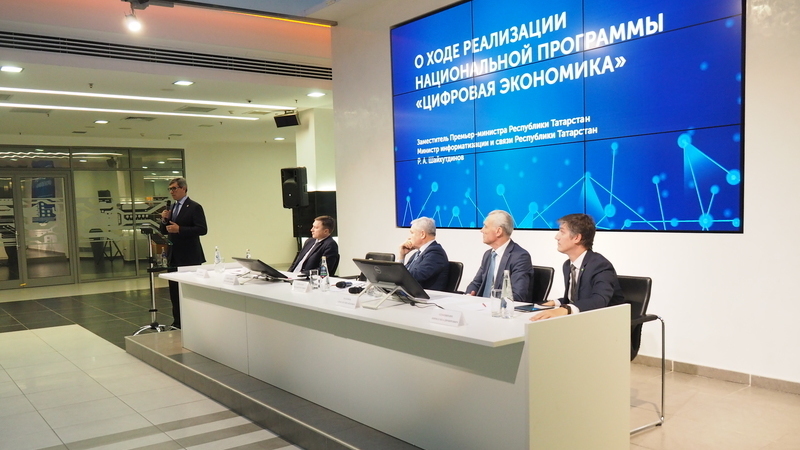 Integrated solutions in the field of "smart city", robotic production and automated control of production processes can also be offered to residents of the Innopolis Special Economic Zone. In his welcoming speech, Karimov reported on the existing measures to support enterprises under the state programmes to encourage the implementation of digitalization elements.